After the top-order batting disaster in the early stage of the fourth innings of the fifth and final Test at The Oval, Indian opener KL Rahul and wicketkeeper-batsman Rishabh Pant provided some desperate fights against the hosts England but failed to save the Test match and also lost the series by the 4-1 margin. Indian cricket team started the fifth day on 58/3, coming to chase a mammoth fourth innings target 464 runs. At first, KL Rahul and Ajinkya Rahane continued their rescued fourth-wicket partnership and stretched that for 118 runs before losing Rahane on 37 runs. Soon, in the next over, debutant Hanuma Vihari was dismissed without opening his account. 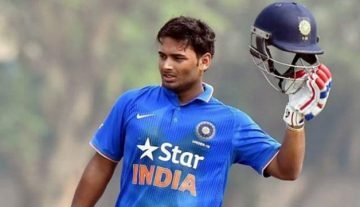 Then Rahul and Pant provided a brilliant long partnership and were desperate to save the game but failed to protect the game in the end. The duo put a 204-run partnership for the sixth-wicket as both completed their respective Test centuries and wished to go on further. Finally, the leg-spinner broke that partnership as he dismissed both those set batsmen in quick successions. Rahul finally lost his wicket on 149 runs off 224 balls (20 fours and only six) while Pant was dismissed after scoring 114 runs off 146 balls with 15 fours and four sixes. It took little more time to bowl out that Indian innings as Ishant Sharma (5), Ravindra Jadeja (13) and Mohammed Shami (0) failed to protect their respective wickets. Finally, India was bundled out for 345 runs as England won this Test by 118 runs. Among the English bowlers, pacer James Anderson (3/45) bagged three wickets and becomes the most number of wicket-taker as a pacer. The left-arm pacer Sam Curran (2/23) and leg-spinner Adil Rashid (2/63) got two wickets while the other pacers Stuart Broad (1/43) & Ben Stokes (1/68) and the off-spinner Moeen Ali (1/60) picked up one wicket each. English opener Alastair Cook won the Player of the Match award who played two brilliant innings (71 & 147) in his last international cricket match. 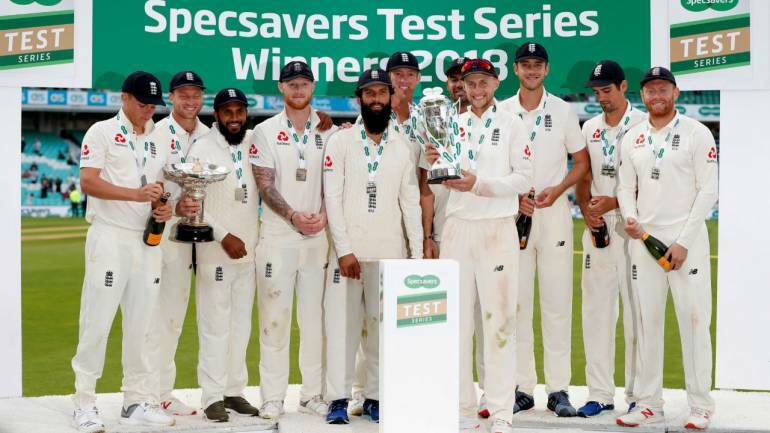 Meanwhile, England all-rounder Sam Curran and the Indian skipper Virat Kohli both jointly won the Player of the Series award. A great #ENGvsIND series in many ways, not least because it removed any shadow of doubt from the fact that Virat Kohli is the best batsman in the world, bar none.